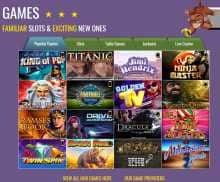 Slots Magic Review 2019 - Bonus Of R,4000 FREE! Welcoming all South African casino players! Visit Slots Magic Get A Big Bonus Package! "At Slots Magic Casino, South African players can enjoy hundreds of exciting slots and many other quality games, such as blackjack and roulette, as well as various Live Dealer games." Slots Magic Casino have quickly established a reputation for being safe, secure and fair. With your first three deposits at Slots Magic Casino, you can receive up to R4000. Your first deposit of up to R1500 earns you another R1500. Plus, you get more bonus cash on your next two deposits as well as 200 free spins. South African players have discovered a relatively new online gaming room, Slots Magic Casino, which offers an exciting, safe, and fair environment for players. 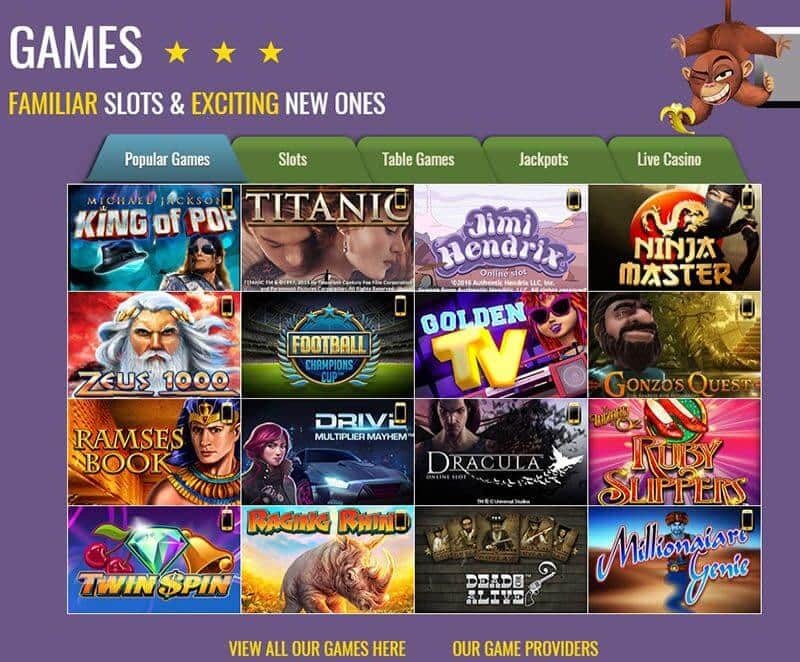 Although Slots Magic Casino has only been on the Internet casino scene for three years, it has quickly established itself as a fantastic place to enjoy online slots, Live Dealer games, and software-driven table and card games. This online casino gladly accepts South African players, providing them with solid bonuses and exciting promotions. Plus, because they accept Rands, Slots Magic Casino has made it easy for South Africans to play at the casino. Slots Magic Casino is focused on making sure that player funds, all transactions, and everyone’s personal information is safe and secure. They are dedicated to player satisfaction in every way. Daily promotions, a special VIP Lounge, tournaments, and free spins are all part of the Slots Magic Casino experience. This online casino features games and software from more than a half-dozen providers, including world-leader Microgaming. If you’re into land-based casinos, you’ll love their Live Dealer games from Evolution Gaming, a prominent player in the industry. The fact is at Slots Magic Casino South African players will have every opportunity to hit a huge jackpot while having a great time. The action is ongoing, 24/7, and the deals and promotions change on a daily basis. This is a truly engaging online casino that players may access through their computer, tablet, or mobile phone. South African casino players will find that this site offers them a quality gaming experience each and every time. Slots Magic provides South African players with a secure and fair gaming environment. They work hard to safeguard your security by protecting all financial transactions with 128-bit SSL data encryption. This is the same technology utilized by credit and debit card providers. In addition they protect all personal customer information at all times and never offer your information to third-party companies. Slots Magic Casino is licensed by the Malta Gaming Authority, which is known throughout the industry for its high standards. The UK Gambling Commission, which is another highly respected agency, also licenses and regulates this casino. Although Slots Magic Casino is not eCOGRA certified, iTech Labs, an independent and reputable testing company, has certified it for fairness. In addition, Slots Magic does have a solid reputation, and, as already noted, it is regulated by two of the top licensing jurisdictions in the world. Plus, banking practices allow for easy and safe withdrawals, which means that players can access their cash whenever they want it. South African players, and others, find that is it a fair, safe, and secure online casino. One of the aspects of Slots Magic Casino that makes it so attractive is the variety of gaming software that they utilize. Starting with Microgaming as their base, this online casino includes games developed and created by more than a half-dozen different companies, including WMS, Amaya, NextGen, Netent, Aristocrat, Barcrest, Evolution, XPro, and NetEnt. The combination of quality, diverse game providers offered by Slots Magic Casino helps to make this gaming room exceptionally unique and exciting. The Slots Magic platform is very easy to navigate. Whether you’re going from game to game, leaving the homepage and traveling to the banking area, or utilizing chat or email, the platform responds quickly and reliably. In addition, all software-driven games, despite the various manufacturers, are responsive, offering rich graphics, seamless and vibrant video, and resonant sound effects and music. South African players find that they can depend on Slots Magic Casino to perform well no matter what mode of play they have chosen. Finally, the Live Dealer games function in a clean, clear fashion, as they offer players an authentic real-time gaming experience. The live streaming is seamless and the interplay between dealer and player occurs without delay. The interactive nature of the Live Dealer games is first rate. Slots Magic Casino may be enjoyed in three different modes, download version, instant play, and mobile casino. Each performs well and each version is packed with games and other features. Here’s a look at each mode of play. Slots Magic Casino Download Mode – You’ll have access to over 240 games, including all slots, casino, arcade, and Live Dealer offerings. Setting up the download casino is easy and fast. When playing in the download mode players are in an extremely stable environment and they are able to interact with the entire casino. However, some players don’t want to clutter their hard drive by loading the game onto their computer and prefer to use the instant-play mode instead. The download version is for PC users. Mac users must utilize the instant play version. Slots Magic Casino HTML5 Mode – If you are a Mac user, you’ll be able to enjoy the games at Slots Magic Casino in instant play or HTML5 mode. PC users can also play using this version. Play is still very smooth although it may not be quite as crisp as the experience you’ll encounter when playing the download version. Also, the number of games you can access is a bit smaller than in the download version. Slots Magic Casino Mobile Mode – Slots Magic has developed a responsive casino app that players may download and install for free. The app provides access to over 20 games, including Wildcat Canyon, Ramesses Riches, Medusa 3, and Judge Dredd. You’ll also find Oil Mania, Genie Wild, Pizza Prize, and Hot Wheels. If you enjoy progressives, you won’t be disappointed, as they have provided access to jackpot games. The Slots Magic Welcome Bonus for South African players in worth up to R4000. In addition, players are awarded a total of 200 free spins. The bonus is awarded in three segments. Here’s the way that it works. The good news is there is no play through amount associated with any winnings earned with free spins. However, there is a 25X play through on your cash bonus. Thus, if you qualify for the entire R4000 Welcome Bonus, you’ll have to wager R100000 before you can withdraw any winnings associated with it. This a better deal than most online casinos offer, as web-based gaming rooms often have play through amounts that are multiples of the sum of the bonus and amount deposited. If that were the case here, a player would need to wager R250000 before they could receive any winnings. Also, the fact that Slots Magic does not have a play through amount associated with winnings that come from using free spins is unusual and greatly benefits players. One other note, free spin wins can be cashed out immediately. Banking at Slots Magic Casino is very easy for South African players due to the fact that the casino accepts Rands. That fact helps to make depositing and withdrawing funds fast and simple. The site has made every effort to ensure that your banking experience is completely safe and secure. They offer various deposit methods that are virtually instantaneous, including credit and debit cards, Neteller, Skrill, and Paysafecard. Withdrawing winnings takes longer than making a deposit. That’s because Slots Magic is dedicated to making sure that every withdrawal is carefully scrutinized to ensure there is no fraudulent activity. Below are some withdrawal methods as well as the length of time projected for processing. Pending time on all withdrawals is 24-48 hours. Thus, add that amount of time to processing time. The maximum withdrawal amount per month is R135000. There’s no daily limit on withdrawals. Slots Magic Casino has a fantastic selection of online casino games, including over 175 slots, a large variety of table and card offerings, and live dealer games. There is always some new game to play, tournament to join, or special offer in which to engage. Slots are by far the most popular games at this casino. Let’s start with the site’s catalogue of machines. Because Slots Magic utilizes so many different software providers they provide players with a wonderful selection of slots. Jackpot slots include Mega Moolah, Mega Fortune, Arabian Knights, and Superman. Other popular slot machines are Michael Jackson King of Pop, Jimi Hendrix, and Karaoke Party. Play movie-based slots like Titanic, Jurassic Park, and Terminator 2, mythological machines such as Thunderstruck II, Titans of the Sun, and Zeus 1000, and other fun slots, including Vegas Slots, Fruit Mania, and When Pigs Fly. Classic progressive machines, such as Major Millions, are also on-hand. There are plenty of versions of blackjack and roulette at Slots Magic. American, French, and European Roulette are featured. In addition, you’ll find the Pro Series and the Special Pro Series of roulette. American Blackjack, European Blackjack, and Progressive Blackjack are featured. For those who want to pick up the pace, there’s European Blackjack Turbo and Progressive Blackjack Turbo. Although the Live Dealer casino is small it is powered by what many consider to be the gold standard for online play, Evolution Gaming. Games offered include baccarat, blackjack, and roulette. In addition, Gold Live Casino by Extreme, a premium Live Dealer casino, is available. The Live Dealer croupiers are charming, beautiful, engaging, and professional; game controls are simple and easy to use; and the games play like authentic land-based casino offerings you’d find at quality casinos. If you’re looking for a change of pace from software-driven games and are interested in a gaming experience that is akin to what you would enjoy at a real casino, then try a turn or two at Slots Magic’s Live Dealer games. If you’re looking for variety, you’ve come to the right place, as there are many other games available at Slots Magic Casino. South African players can enjoy craps, Casino Hold’em, and punto banco. Let Them Ride, Caribbean Poker, and Pai Gow Poker, as well as Casino War, are offered too. You’ll also find arcade games such as Hi Lo Cards, Doubles Heaven, and The Big Wheel. There are also 16 different video poker games. Included are four versions of each of the following, Jacks or Better, Aces and Faces, Deuces Wild, and Joker Poker. Each may be played as a single hand, three-hand, five-hand, or 25-hand game. Slots Magic Casino runs special bonuses each day. Bonuses change from day to day and include matches on winnings, reload bonuses, and extra spins. The online casino also runs daily slots tournaments including freerolls. It’s easy to take advantage of the casino’s various daily deals and bonuses. To do so, you’ll need to log in every day. Finally, Slots Magic Casino offers South African players an impressive VIP Lounge. To gain access to the lounge, you simply need to join up. Once you do, you’ll be able to enjoy many benefits. The more you wager, the higher you move up the membership ladder and with that upward movement, the more rewards and benefits you’ll receive. When players get up to the highest tiers, the Executive Levels, they may qualify for a cruise, a special vacation package, or a trip to a world-class sports event. Customer support at Slots Magic is professional, courteous, and knowledgeable. Available through live chat, email, and telephone, they are ready to answer your questions, address concerns, and deal with any issues you may have. Along with focusing directly with an questions you may have, the customer support staff at Slots Magic works diligently to make sure that each and every player is satisfied, has access to the bonuses and promotions to which they are entitled, and has a pleasurable experience as is possible. With a little over 20 casino games, including roulette, blackjack, video poker and various slots, the Slots Magic mobile casino is a real winner. Slots Magic Casino has developed an engaging app that offers a vibrant casino experience. Of course one of the major benefits of mobile or tablet play is that players can access their favourite casino games no matter where they may be. The Slots Magic mobile app works with iOS devices, Androids, Windows Phones, and other such devices. At Slots Magic Casino, South African players can enjoy hundreds of exciting slots and many other quality games, such as blackjack and roulette, as well as various Live Dealer experiences. Because this online casino features the products from so many different premium gaming software providers, it is a diverse, exciting, and engaging site. Trusted, secure, and safe, offering fine customer service, and dedicated to providing a first-rate gaming experience to South African players, Slots Magic Casino is a great place to play. Visit Slots Magic! Get an R4000 Bonus & 200 Free Spins! Join Slots Magic Casino now and enjoy a welcome bonus worth up to R4000 and 200 Free Spins!